The answer is yes, and it comes from a rather surprising placename. Sumer is the ancient name for the region better known to most people as Babylonia. The Biblical name for the region is Shinar. It is the region where Genesis records the Tower of Babel was built. Why the difference? The answer has been a long time coming but it surprisingly provides a key evidence in support of the Old and New Testament claim that Moses, who compiled Genesis, had been bought up and well educated in Egypt. Mesopotamian scholar Arno Poebel (Ref. 1) suggested many years ago that Sumer came from the name of SHEM who was Noah’s son. Noah would have been alive when Babel was built and Shem also. Poebel’s suggestion found later support from the greatest Sumerologist Samuel Noah Kramer (Ref.2). Yet both met only stony silence from their academic peers to their claim. Recently David Rohl (Egyptologist, Ref. 3) has added his voice in favour of this same thought. The argument is to do with what happens to sounds when you transfer names from one language to another. This is easy to follow in the present with names like Yohann becoming John, becoming Yan, becoming Ian as it crosses language barriers. Not so easy in ancient times. In Ancient Sumerian Shem would have been pronounced Shumer (the Semitic often changed a ‘u’ to an ‘e’), the ‘r’ would become almost unpronounced so it usually sounded more like an a (called an amissable consonant). The end result was that Shem or Shemer would become Shumer, and thus Sumer – meaning the land of Shem. Scholars have also been able to conclude why the Bible calls it Shinar, with the ‘m’ in Shemer changed to an ‘n’. Howard Carter (who discovered Tutankhamen’s tomb), points out in the Journal of Egyptian Archaeology (JEA vol 1X p1- 4 1923), that the ancient Egyptian pronunciation of Sumer was ‘Sinear’. Now note that the Septuagint Bible (translated in Alexandria Egypt 200-300 BC) makes the Shinar of Genesis 11 into the Greek ‘Senaar’ – and from there it is an easy step to read Shinar when the Bible text is later translated into English. The reader should note that there are still many languages where the letter‘s’ is pronounced ‘sh’ as in Czech where Milos = Milosh, or Hebrew Moses = Moshe. By now it should also be obvious, the writer of Genesis actually recorded the then current Egyptian geographic name ‘Sinear’ (Shinar) for the area we now call Babylonia, aka Sumer. This makes him a man familiar with the Egyptian language prior to 300BC. And in the days before the Internet, or freely available translations of Egyptian Hieroglyphics, the simple uneducated Jew in the wilds of Palestine, who was not involved in the international politics of 3,000-4,000 years ago would have had had no access to such educated Egyptian terminology from a country to the southwest of him, about an unknown region way to the east of him. So, as the New Testament writer and Greek physician Luke accurately states, “Moses was learned in all the wisdom of the Egyptians (Acts 7:22). 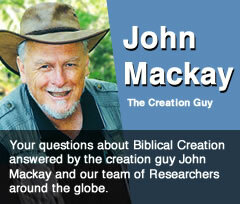 Dr John Osgood has had a medical career and was one of the original members of the Creation Science team put together by John Mackay. His specialty in ancient Middle Eastern history grew out of the amazing accuracy of the Biblical Text particularly with respect to the conflict between the secular Egyptian based chronologies vs the Biblical Record.